Walk-in tubs are a bathtub that has a door located in the side wall, which allows a user to step in and out through the side of the tub. Most, but not all, Walk-in Tubs models have a molded seat inside, allowing a user to take a seated bath once they have arrived inside the tub. Before we go into more detail about some of the pros, cons, and features of the standard, classic-style Walk-in Tubs, it would be helpful for you to be aware that there are two different types of bathtubs which have a door located in the sidewall: Walk-in Tubs and Slide-in Tubs. Walk-in tubs and Slide-in tubs share many features in common, but there is one, extremely critical difference between these two tub types, which pertains to whether a user can directly access the seat inside, or not, when the door is in the open position. Walk-in Tub: Tubs classically identified as “Walk-in Tubs” have a narrow doorway located in the tub’s front wall, two high walls attached to either side of the seat, and usually have a few inch threshold a user must step in and out over. Since the seat has walls fixed to both sides, a user usually has only one means of access: to walk in and out. Slide-in Tub: This type of tub has a wider door that opens up to expose one side of the seat inside, giving users with balance problems the option to sit down on the seat first, thereby completely eliminating the need to “step” into and out of the tub. It’s also possible for a wheelchair user to slide sideways from their wheelchair seat to the tub seat. In the guide below, we cover some of the pros, cons and features of the classic-style Walk-in Tubs. To learn more about the tubs identified as “Slide-in Tubs”, visit our Slide-in Tub Guide. Walk-in Tub models will differ in the direction the door swings. 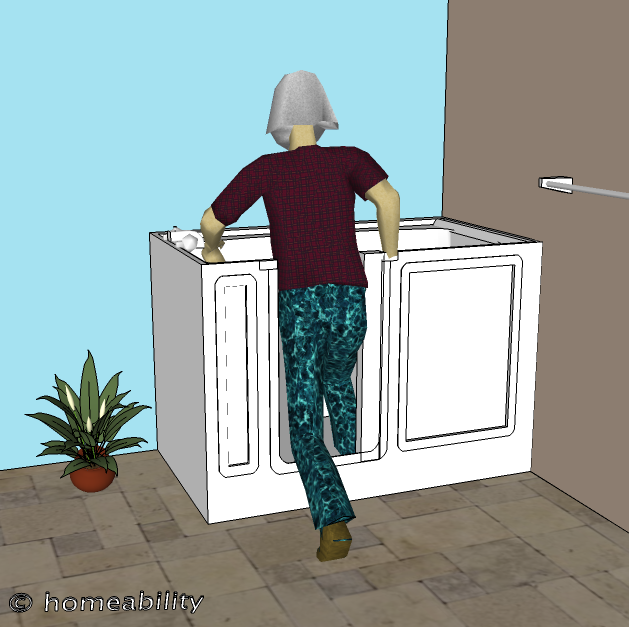 Some models have a door that opens inwards into the tub’s interior and others have a door that swings outwards into the bathroom. The pros and cons of both door types can be found below. Spatial Concerns: A door that opens inwards into the interior of the tub is more practical for use in small bathrooms. 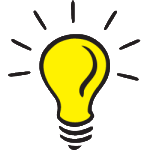 Maneuverability: It can be difficult for a person to maneuver themselves around an inward-opening door in order to open and close it while standing inside. Entrapment: Some people have found themselves trapped inside of tubs with inward-opening doors either because they could not get the water to drain out or as a result of slipping off the seat into the footwell and being unable to get back up again. Stuck Inside Till Water Drains: In the event of a medical emergency, it is not possible to open an inward-opening door and exit until the water has drained out, due to the pressure the water exerts on the door. Difficult Rescue: Once the water has been drained, it can still be difficult to get someone out who may be experiencing a heart attack or stroke because their legs and body will be occupying the tub’s interior, preventing the inward-swinging door from opening and therefore forcing rescue personnel to try to lift an individual up and over the tub walls. 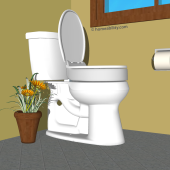 Maneuverability: The door does not open into the tub’s tiny, cramped, interior, but instead opens outwards into the bathroom. This makes it easier for a user to navigate into and out of the tub. Medical Emergency: An outward-swinging door can be opened in the event of a medical emergency, making it much easier to assist a person experiencing a medical emergency out of the tub. If need be, an outward-opening door can even be opened when the tub is still full of water, at the expense of having a wet, bathroom. A soggy bathroom floor, however, would be a secondary concern if a life and death medical emergency is transpiring! Spatial Constraints: An outward-swinging door may be blocked from fully opening by a nearby vanity, toilet or other fixture. Durability: The door seal on an outward-swinging door usually will not last as long as the door seal on a tub with an inward-swinging door and may need to be replaced periodically. 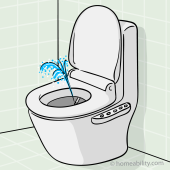 Unexpected Flood: If you were to release the door handle prematurely, you could flood your bathroom. Some models have a double locking mechanism to help reduce the chance of this happening. Be aware: A walk-in tub with an outward-swinging door can be opened in the event of a medical emergency (which is certainly helpful), but the combination of the high tub walls blocking both sides of the seat and the narrow doorway can still make it extremely difficult for family or paramedics to help a person experiencing a medical incident out of the tub, especially if the person is unable to assist with standing up. The outermost shell of a Walk-in tub is most often made from fiberglass, acrylic, or a combination of the two. The pros and cons of fiberglass and acrylic are described below. Acrylic Tub: Acrylic is a strong, durable material. Tubs made from acrylic tend to have a longer life expectancy and be more resistant to scratches, stains, and color fading than fiberglass tubs. If scratches and nicks do occur, it is reportedly harder to fix them though in a tub with an acrylic surface, than one with a fiberglass surface. Fiberglass Tub: Fiberglass is also a very strong material, but it can be more prone to scratching, color fading, and development of spider cracks in the surface than acrylic tubs. Some fiberglass tubs will include an acrylic gel topcoat to help further protect the tub. Fiberglass tubs usually cost less than acrylic tubs, making them a more budget-friendly option. Walk-in tubs may have a frame supporting the exterior shell or be frame-less. Framed Tub: A framed tub usually rests on a frame made from steel and has a molded fiberglass or acrylic exterior shell. The frame holds the tub suspended a few inches above the floor, which in turn usually results in a threshold (oftentimes 6” high or more) that a person must step over to get in and out. Frameless Tub: A frameless-style tub does not have a steel support frame, but instead has a molded tub shell (often made of thicker fiberglass) that is designed to rest directly on the ground, making it possible to reduce the entry threshold to between 1”-3”. A lower threshold height helps make it safer and easier for users to enter and exit the tub. Most tub models can be ordered with one, or more, of the following options: water jets, air jets, or as a soaker tub. Details about each of these options can be found below. Water jets provide a strong water flow, giving a massage-like effect that is sought after by many users. A drawback to be aware of with water jet systems is that the water gets recycled through the system and the residual water left over in the pipes can grow mold or bacteria. This can be problematic for individuals with a compromised immune system, respiratory problems, or persons susceptible to pneumonia. Professionals recommend to regularly use an additive (suitable for your tub model) to clean the pipes out. Some manufactures offer tubs with a self-purging feature, which they claim helps to reduce the likelihood of bacteria growing in the lines. If your intention is to use the tub for bathing, and not just for soaking, be aware that because the water is recycled through the water-jet system, the use of most oils, soaps and shampoos are not recommended while running the water jets. This system relies on smaller jets that deliver a gentler rush of air though more holes – amounting to a gently bubbling bath. The water does not get recycled through an air-jet system, which means there is less likelihood there will be a problem with mold or bacteria building up inside the tub and it is usually OK to use oils, scents and soaps in the water. Before using the tub. Make sure to confirm with the manufacturer which products are or are not OK to use in the specific model you have purchased. The cheapest models are generally the soaker-tubs, which are basically equivalent to soaking in a standard bathtub in which you are sitting upright. Soaps, oils and shampoos can all be used, unless otherwise specified by the manufacturer. 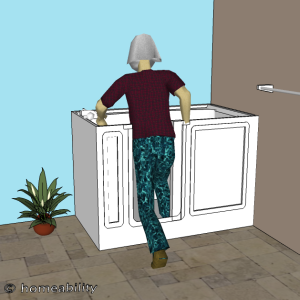 User Height: A walk-in tub is typically not an ideal solution if you are a taller person, unless the main intent is to soak aching knees or hips, because the upper torso will not be submerged. Weight Capacity: Confirm the weight capacity is appropriate for your needs. 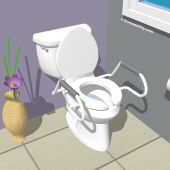 There are some tub models available with wider seats and entry doors, if needed. Doorway/Hallway Widths: Check that the dimensions of the tub you select will fit through all the doorways and hallways between the outside of the home and the bathroom! If not, you will need to pay to have the door frames removed and reinstalled to get the bathtub into the bathroom. Heated Seat: Some (but not all) models have a heated seat and/or back to help keep you warmer whiling you are waiting for the tub to fill and empty. Water Heater Size: Confirm that the size of your water heater will accommodate the operation of a larger bathtub. In many cases people find it is necessary to replace their existing water heater in order to run the tub, which adds an additional expense. Structural Support: Your bathroom floor may require extra structural support to handle the weight of the tub, so be aware this is an additional expense you may be confronted with as well. Check for Certifications: IAPMO (UPC), ASME, CSA, and UL certifications indicate the tub has passed certain minimum standards. Does Medicare or Medicaid Cover Walk-In Tubs? A Walk-in tub is not considered by Medicare to be a medically necessary piece of equipment, therefore, it is not a piece of equipment they will typically cover. If you can prove you truly cannot function without it, there is a slim chance that you might get some reimbursement for it from Medicare. In order to do so, you must have your doctor write a “Letter of Medical Necessity” stating why it is medically necessary. If you have Medicaid, you have a better chance of getting assistance in paying for a walk-in tub – this varies by state, however, so check with your Medicaid representative. A walk-in tub is a big financial investment usually ranging from $5,000-$17,000 installed, so it is important to make sure you are confident in both the product and the company who manufactures it. Check the review and complaint history for both the manufacturer and the specific tub model you are interested in purchasing. Be aware that researching these tubs can be quite difficult because the accessible bathtub industry (i.e. sellers of walk-in tubs, slide-in tubs, and tubs with integrated bath lifts ) are unfortunately notorious for having some dodgy review websites. In general, we are not fans of the classic-style Walk-in tubs. We know, however, that some people may still be inclined to want one for varying reasons, which is why we have provided the guide above. In general, most Slide-in Tubs (defined at the start of this article) are a better, safer alternative to the classic-style Walk-in tubs. Slide-in tubs allow for direct access to the seat inside, making it easier to enter and exit the tub. To learn more about pros, cons, and types of slide-in tubs, visit the Slide-in Bathtub Guide. 1. 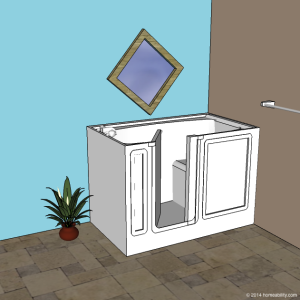 Buying a Walk-in Tub – Your Biggest Mistake? 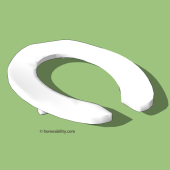 Elevated Toilet Seats: 5 Great Options!